Yes, organic bees survive CCD, which almost proves that a pesticide (or maybe GM plants) must be responsible for CCD. Also living on refined white sugar and high-fructose corn syrup in winter certainly can kill any advanced life-form. The saga of the British Beekeepers’ Association (BBKA) and its long-term pesticide endorsements is quite extraordinary. For 10 years, the BBKA has been giving its official blessing to four insecticides as “bee-friendly” or “bee-safe” – for example, the May 2001 newsletter BBKA News referred to “the BBKA’s endorsement of Fury as a bee-safe product”, while another piece in August 2005 said “the products we endorse are bee-friendly when used properly”. Yet the active ingredients of these products, as shown above, are among the most deadly substances for bees existing on the planet. Most rational people, with no axe to grind one way or another about bees or pesticides or anything else, would surely find this counter-intuitive as best; at worst, simply bonkers. Good old bee-safe Fury, eh, which contains cypermethrin, the second most toxic insecticide to honey bees out of 100 tested. No wonder it has produced fury among some beekeepers. What has been going on? The more one goes into it, the more it becomes clear that there is a very comfortable relationship – the old word used to be “cosy” – between the fairly small group of senior beekeeping figures who run the BBKA as a self-perpetuating oligarchy, and the pesticide lobby, or as they would prefer to call it, the crop protection industry. This is something which may skew judgement. One of the claims in the open letter sent to the association by independent beekeepers is that “the BBKA appears never to have issued any public statement that is critical of any pesticides or pesticide manufacturer”. That’s a sweeping statement, but it’s certainly the case, if you leaf through BBKA News, that pesticides are not viewed as a major problem. This matters, because in the great decline of bees we have witnessed in recent years, culminating in the mysterious colony collapse disorder, a new generation of pesticides, the neonicotinoids, may be implicated, some claim. Yet some senior British beekeepers and scientists insist the matter is down to mites like varroa, or viruses like nosema, and say pesticides have nothing to do with it. In fact, you can see the potential role of neonicotinoids being actively played down – inaccurately – in the BBKA’s own agenda for action, Honey Bee Health – Research Concepts, an important study produced by five senior BBKA figures and published in 2009. Dealing with potential pesticide problems comes almost last as a single page. 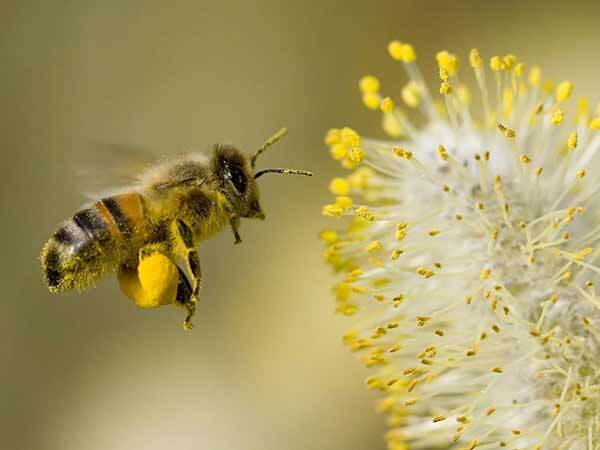 The document says that incidents in Europe involving neonicotinoids which have been harmful to bees “have been considered to be the result of bad practices”. This is correct for Germany, but not for France (both countries have banned them). Then the document says: “These compounds appear to be not very widely used in UK agriculture at present.” Well, you can find the figures if you want, and as you think the five senior authors might have wanted to do. They are available from the Food and Environment Research Agency, and they show that in 2008, the year before the study was published, the area of land treated in Britain with neonicotinoids was 1,027,706 hectares, or 2,539,461 acres. It gives “not very widely used” a whole new meaning.